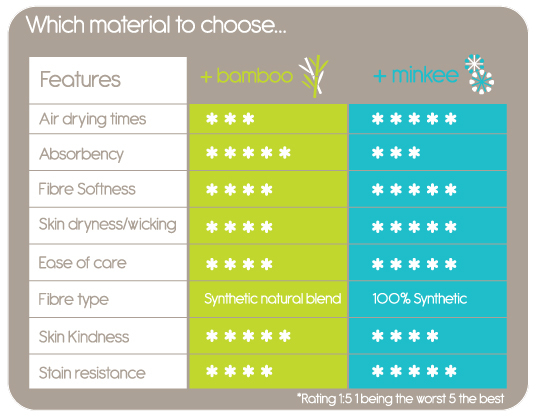 Each Pop-In nappy consists of a waterproof outer shell, a soaker pad and a top layer booster. These components make the Pop-In nappy extremely customisable in terms of absorbency, and can be used for both day and night time use with great results. For night time simply add the Night Time Booster if needed for a bomb-proof nappy solution! As with a one-size pocket nappy, the Pop-In is designed to fit from birth to potty training and the New Generation Pop In has 4 rows of poppers down the front rise which allow you to adjust it as your baby grows. This provides you with a fantastically economical option! One-Size: To fit from 8-35lbs approx. I have tried several different brands in reusable nappies but I find these by far the best. They have the double enforcement on the leg and have not leaked once!!!! I would not mind if they were a litre more absorbing, but I hope that might still come the more he uses them. I'm loving the Pop-in plus minkee! They are a teeny bit bulky on our 3.6kg Bub, but unlike some other one size nappies we've tried we've had no leaks overnight, even without the nighttime boosters. I'm thinking the double leg Gusset and shaped insert might be the reason. Easy to wash and quick to dry. Excellent nappy, really good fit and great absorbency. Lasts 8 hours overnight with my little girl without the nighttime booster! She is 5 months and quite a heavy wetter! Very impressed, going to get some more soon!